Below you will find luxury waterview condo buildings in Boston by neighborhood. Contact us to schedule a showing or to learn more about a property. Don't see what you're looking for? You can search by neighborhood or browse all luxury buildings in Boston. 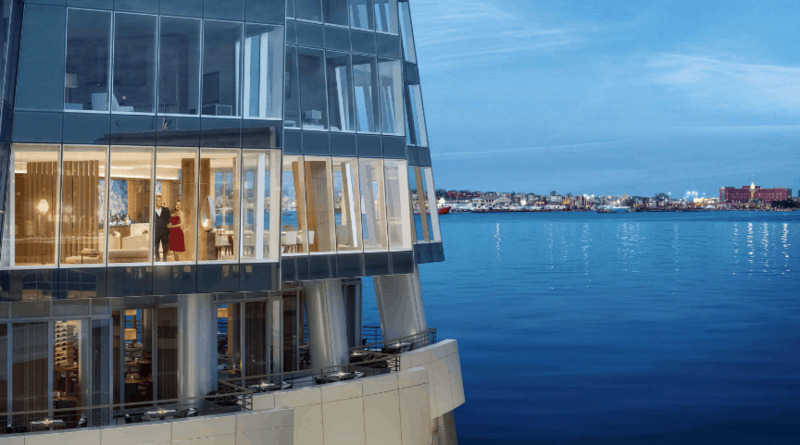 50 Liberty sits in the heart of Boston Harbor and is designed by the acclaimed Elkus Manfredi Architects. 50 Liberty features breath-taking floor-to-ceiling windows offering expansive views of the city and harbor. 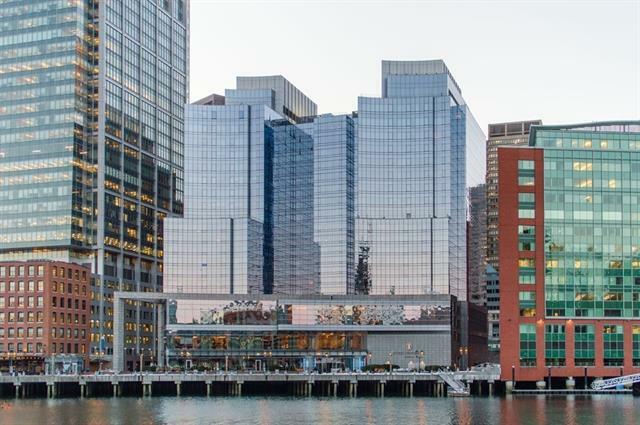 22 Liberty is one of Boston's newest luxury developments just completed in the Seaport District's iconic Fan Pier, located right on Boston Harbor. The stunning 14-story building has an all glass façade and floor plans range from studios to 3+ bedroom penthouses. Currently under construction in Boston's Seaport neighborhood, Pier 4 condos will be a collection of boutique residences surrounded by water on three sides. Pier 4 will be 9 stories with 16,800 square feet of retail space and a two-level underground parking garage. 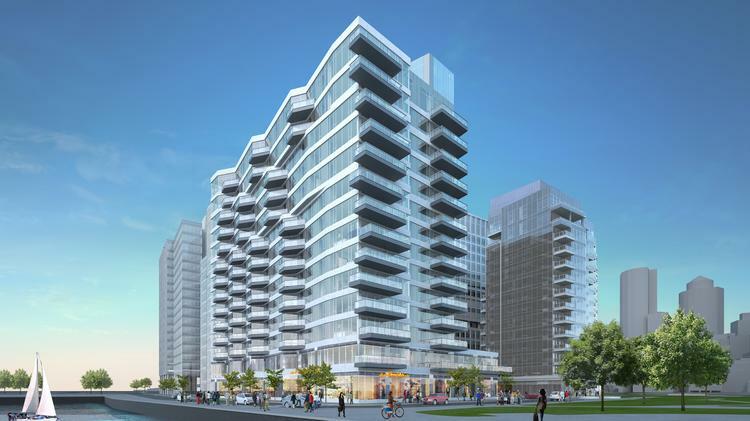 Echelon Seaport is expected to reach 21 stories and span across several towers housing luxury condos and apartments. Echelon will offer residents 5-star, resort-style amenities as well as restaurants and retail stores. St Regis Residences are now available for pre-sale. The luxury tower will be home to the first-ever St. Regis branded luxury residences that will house 114 luxury waterfront condos ranging from one bedroom to penthouse units. The Intercontinental condos are some of Boston's newest and most luxurious residences. Residents of the Intercontinental enjoy access to a full range of first-class hotel amenities including valet parking, maid service, in-room dining, and a state-of-the-art gym. Battery Wharf is a full-service luxury waterfront condo building consisting of 104 units. Battery Wharf is also home to a distinguished hotel with in-home services available including valet parking, fine dining, and more. The Residences at Rowes Wharf, one of Boston's most sought after luxury condo buildings, are situated directly on Boston's Waterfront. Attached to the Boston Harbor Hotel, residents at Rowes Wharf have access to world-class hotel amenities such as valet parking. Lovejoy Wharf luxury condos are the epitome of luxury waterview living in Boston. Lovejoy Wharf is conveniently located within walking distance to North Station, TD Garden, and all of the restaurants, bars, and stores in Boston's historic North End. Slip 65 currently under construction at Clippership Wharf on East Boston’s waterfront. The 12-acre Clippership Wharf site sits along the Boston Inner Harbor near the Maverick MBTA Blue Line station, offering sweeping views of the Boston skyline. Slip 45 will be the latest luxury condo project at Clippership Wharf on East Boston's thriving waterfront. The plan calls for a Harborwalk, beach area and floating dock where pedestrians can launch kayaks – and where neighbors can be reintroduced to a natural shoreline. The Mark on East Boston's highly sought after waterfront will feature 107 luxury new construction condos at the former site of Hodge Boiler Works. Floor plans will be a mix of 1 bedroom, 2 bedroom, 3 bedroom, and Penthouse floor plans. 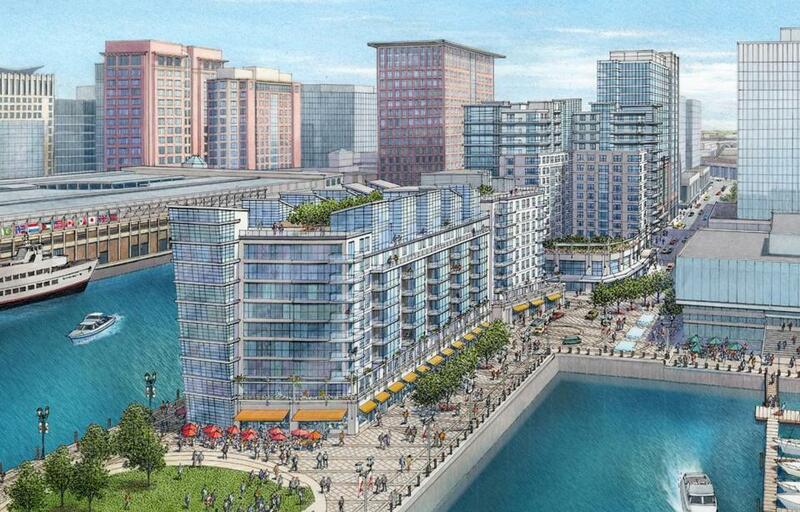 Neponset Wharf is a proposed waterfront mixed-use development overlooking Boston Harbor. Neponset Wharf will feature 150 luxury waterfront condos, a 25-room boutique hotel and a 4,000-square-foot ground-floor restaurant. Brio, will be a luxury waterfront luxury condo complex located in Hingham Shipyard. Brio is a short ferry ride or drive from Downtown Boston. Brio will feature 75 units, including a mix of one and two bedroom residences with unmatched water and marina views. Interested in Waterview Living in Boston?